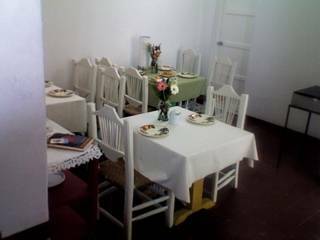 Casa Abril is a lovely family owned and operated Hostel, located in the Church of the Expiatorio Plaza, in one of the most traditional neighborhoods in Guadalajara. From the Plaza you can move easily around the city, thus getting to know the historic area downtown, including the coffee shops and galleries on Chapultepec Avenue. The hotel counts with a warm homelike atmosphere and setting. It is comfortably yet simply furnished. It is fully run by its owners. 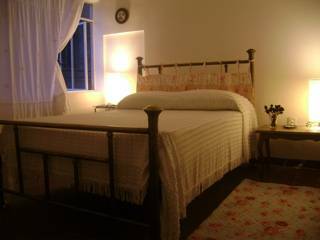 You will not find prettier rooms at this price, we feature hand made quilts, 100% cotton sheets, first class pillows, and a private ambience for you to enjoy. Its excellent location also offers vibrant life just in front of the house; comfortable benches right in front of the plaza which offers cultural events in the evenings such as dancing lessons, as well as a bakery, ice-cream parlor, art gallery, restaurants and convenience store. 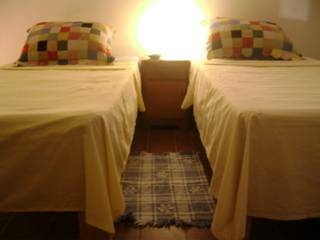 This clean, well located and cozy hostel is an excellent option for staying in a nice part of the downtown area of Guadalajara. Our value is in "the couldn't be better location"
Clean. 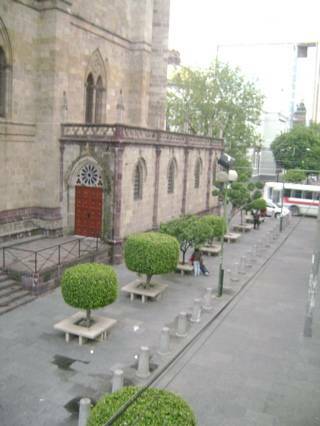 The double rooms, have a wonderful view to the plaza of the Expiatorio Church and a lot of natural light. These has shared bathroom and private closet. Single room is small but is the only one with private bathroom , plus it has the terrace to enjoy with a magnificent city view, modern decoratated , features hand made quilts and 100% cotton sheets. Located on the third floor. We are in one of the most traditional neighborhoods, right in downtown, so you really get to live the culture, arquitecture, gastronomy and people of the most tipical city of Mexico. 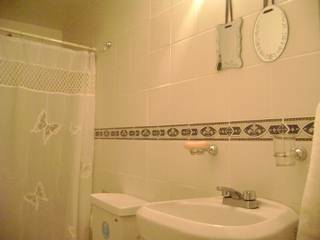 25 usd per night, in private room with shared bathroom with 7 nights stay. Long stays and small groups discounts! Cancellations can be made at least 24 hrs before the day reserved at no charge, if no show, the first night charge will be deducted. We are 4 blocks west from the Juarez (main) subway station, 2 blocks from the Universidad of Guadalajara Building, close to the crossing of Vallarta Av and E. Diaz de Leon Av., 5 blocks from Downtown area, close to around 20 bus lines, we are in the heart of the city! !